Doug Brown receiving a certificate from CCVC for our Chapter's support. Work with veteran organizations and other organizations and Government agencies to ensure uniform, protective programs for veterans, spouse, widows/widowers, minor children, other veteran dependents. Promote a better understanding within the community of the problems and needs of veterans and their families. Assist veterans and their families to seek out Government agencies that can assist them in resolving their problems and needs. 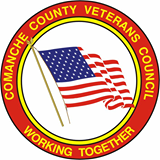 Promote and improve communication between Comanche County veteran organizations and Government agencies that provide assistance to veterans and their families. Promote effective methods of seeking out veterans and/or their families who need assistance, such as; rehabilitation, training, and employment by guiding them to appropriate agencies. Support Oklahoma Veterans Council to represent veterans in lobbying State and Federal legislators to ensure that veterans and their dependents receive all the benefits to which they are entitled. Advise elected Government officials on matters pertaining to veterans, widows/widowers, their children, and other veteran dependents. 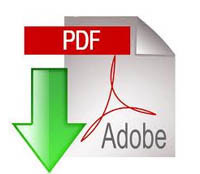 Promote the general welfare of the community as defined in IRS Regulation 1.501 (c) 4-1 (a) (2).